The Shaikh Hamdan Community Sponsorship Fund has given Dundee’s Morgan Rugby Club a major boost. The Fund has donated almost £3,200 to help the Club buy audiovisual equipment for the classroom element of coaching courses – and already the Scottish Rugby Union is looking at using the Club for regional coaching sessions.  “We are pleased that the Fund agreed to make a donation to Morgan Rugby Club for coaching purposes,” said Abubaker G. Abubaker, Director of Operations at Al-Maktoum College of Higher Education, which established the Fund in 2009. “Morgan Rugby is a distinguished sporting club in the city and we will be delighted if our funding plays a part in the Club’s aims to undertake coaching classes on behalf of the SRU,” said Mr Abubaker. Morgan Club president, Derek Black said the funding had helped in the purchase of top quality audio visual equipment for coaching courses being run to benefit players of all ages as well as Club coaches and volunteers. “We are very grateful to the Sheikh Hamdan Community Fund for this generous support, which is a real boost to Morgan Rugby Club,” said Mr Black. “We believe strongly in the ability of sport to help young people achieve their full potential,” said Mr Black. 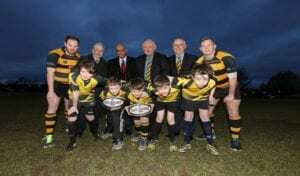 Morgan currently runs a male first 15, a women’s 15, and hosts and partners with Dundee Wasps a junior club catering for boys and girls from P1 to under 16. “The new AV equipment will help improve both the skills and the numbers of coaches and volunteers, not just for our own teams and club, but for others as well who can come here to use the new facilities we can now offer. Picture shows Morgan Rugby Club members, players and representatives from Al-Maktoum College, which manages the Shaikh Hamdan Community Sponsorship Fund. Back left to right: John Gorman (player) the Rev Erik Cramb (Fund Committee Member); Abubaker G. Abubaker, Director of Operations at Al-Maktoum College; Derek Black, president Morgan Rugby Club; Ally Geddes, club secretary; and player, Jonathan Hicks. Front row: left to right: Harry Colville, Campbell Thomson, Adam Laing, Cameron Jones and Finlay Robb.